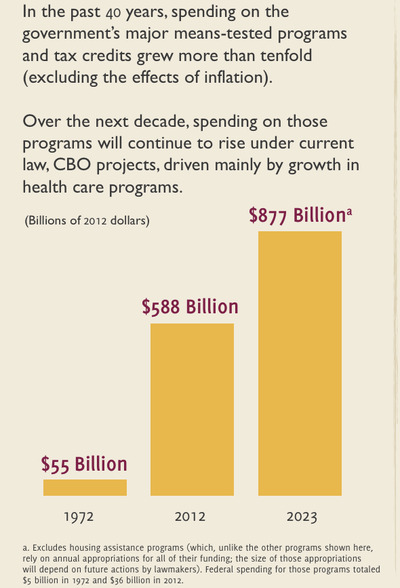 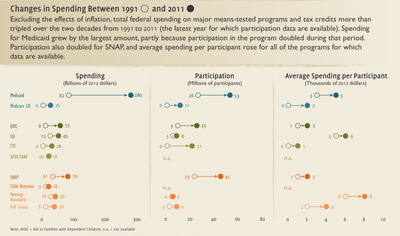 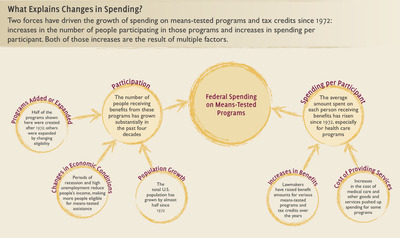 The Congressional Budget Office came out with a set of charts detailing the status and future of mean-tested government programs. 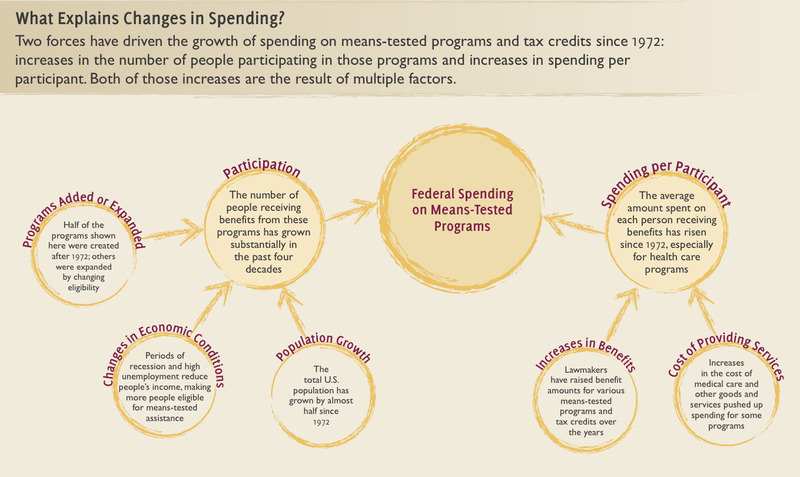 A means-tested program is one that incorporates the income of an applicant prior to approving or calculating benefits. 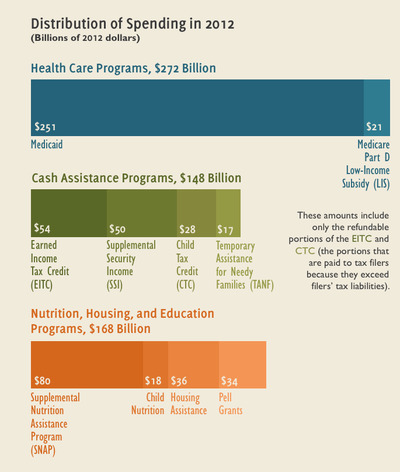 Unlike Social Security — which every citizen is entitled to after a certain age — means tested programs are designed specifically as safety net programs. What’s interesting is that these CBO charts narrow down the real driver of the deficit when it comes to what are sometimes derisively considered “welfare” programs. 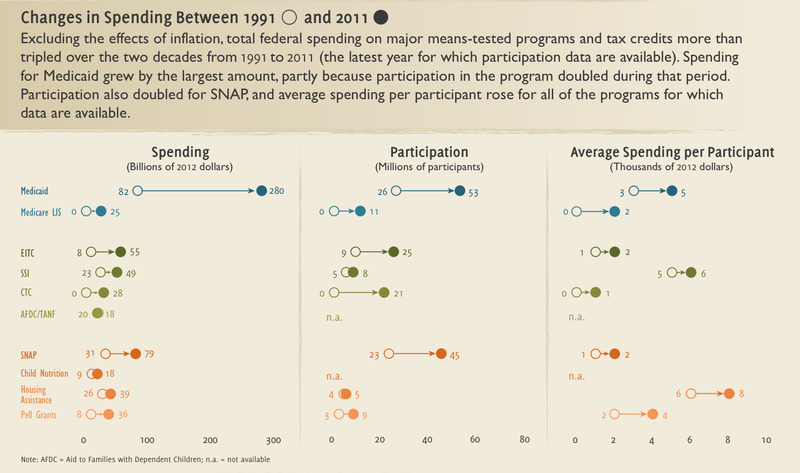 Over 10 years, the main driver of the deficit will largely come from the health care spending as costs increase, not an increased reliance on the government for food stamps or other programs. 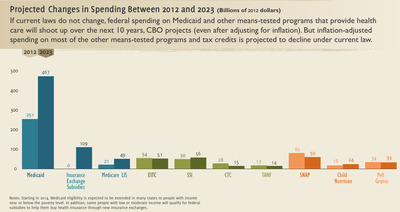 Check out the full set of charts here.